In Pennsylvania, the divorce complaint must be filed with a civil cover sheet. At the time of filing, the court collects a filing fee that varies depending on the county where you file the complaint. The spouse filing the divorce complaint, referred to as the plaintiff, has 30 days to serve the other spouse, the defendant, with a copy of the complaint. Service in Pennsylvania can be accomplished by personal service or through certified mail. Failure to accomplish service in Pennsylvania may result in the dismissal of the divorce complaint. To file for divorce in Pennsylvania, at least one of the spouses must be a resident of Pennsylvania for at least six months prior to the filing of the divorce petition. If the spouses live in separate counties, the filing spouse should file in defendant's county of residence. If the defendant lives in another state, the plaintiff should file in her own county. An uncontested divorce requires the parties to wait 90 days before the court will grant the divorce. An uncontested divorce means that no issues exist on which the parties disagree. However, if only one spouse wants the divorce and the spouses have been living apart for at least two years, a divorce may be granted if the court determines the marriage is irretrievably broken. In Pennsylvania, the answer to a divorce complaint is referred to as a counterclaim. There are several reasons to file a counterclaim in a divorce proceeding. A counterclaim may raise additional issues under the Pennsylvania Divorce Code that were not included in the original complaint, like child custody or the division of particular assets. In addition, the counterclaim may respond to issues mentioned in the original divorce complaint. According to Pennsylvania law, it is not mandatory to answer a divorce complaint. However, if a spouse does not answer the divorce complaint, he cannot address any issues raised in, or excluded from, the divorce petition. The divorce may proceed anyway, but by not responding, the defendant waives representation and protection of his rights. 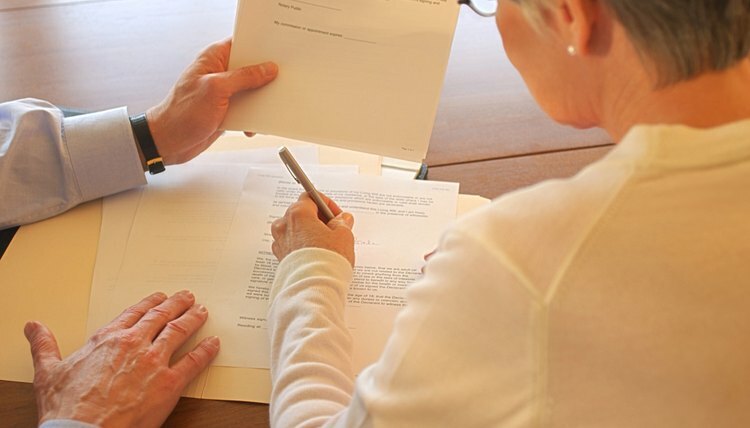 It is often necessary for the defendant to file an answer to a divorce complaint if the spouses have not reached an agreement on the division of significant assets or child custody arrangements. A third party or co-litigant named in a divorce petition should review the allegations and file a responsive pleading right away. If the third party does not respond to the allegations, the court could make a potentially damaging ruling in his absence. In general, if a person is named as a third-party in a divorce petition, his participation is considered absolutely necessary to resolve the dispute. Third parties are often named for purposes of dividing property or proving allegations of adultery within the marriage. What Is the Virginia Statutory Code for No Fault Divorce?